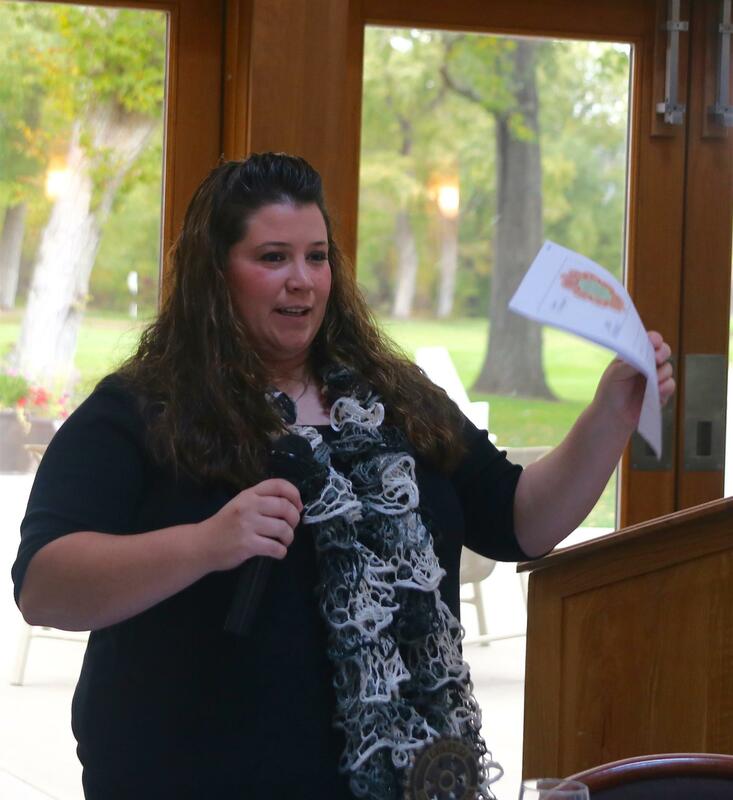 Our very own Kelly Cresswell and Helena College, Kirk Lacey won the "Volunteers of the Year" award for their work on the new WINS program. Congratulations Kelly! We will return to the Green Meadow Country Club on Wednesday October 31st. The Rotary Club of Helena will be hosting the first annual Helena Rotary Hoops 3 on 3 basketball tournament Saturday October 20th 2018. Rules and team registration are in the downloadable documents here on the website. 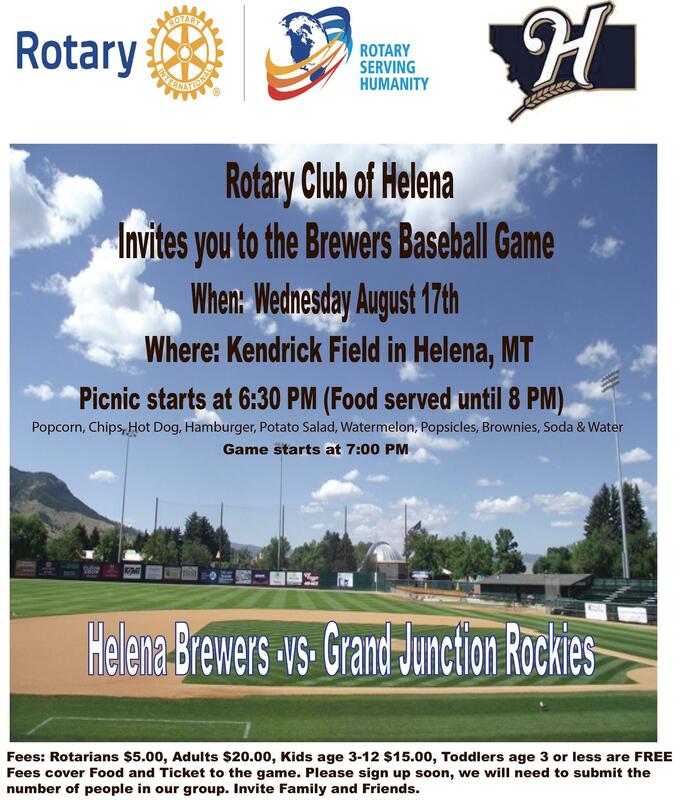 Come celebrate the Rotary Club of Helena's 100th anniversary! 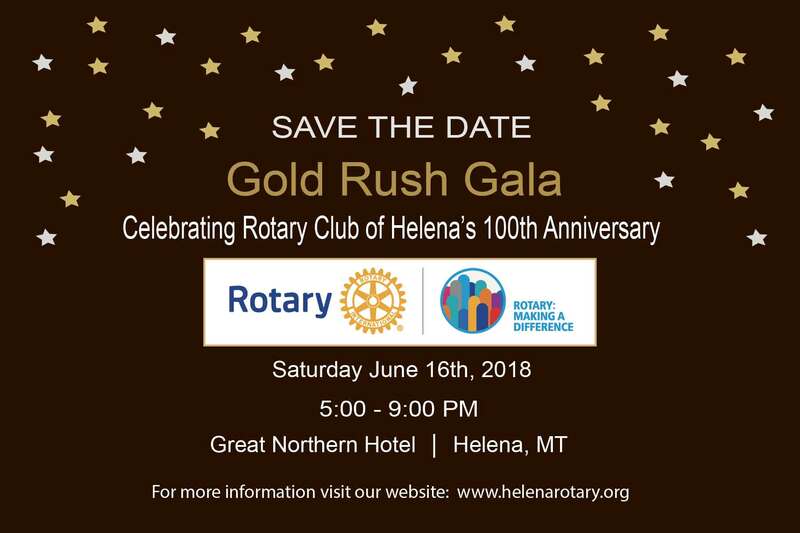 The celebration will take place on June 16, 2018, from 5:00 p.m. to 9:00 p.m. at the Great Northern Hotel in Helena. Tickets are $35.00 per plate. 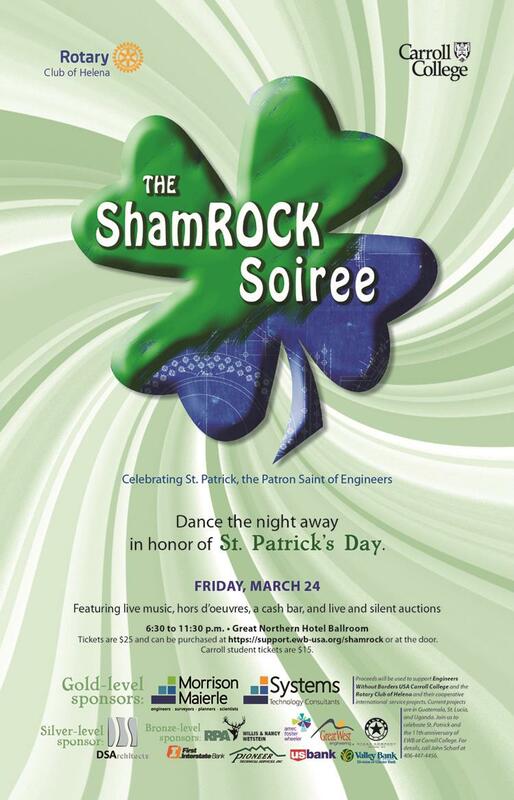 Please register and buy your tickets online here. For the convenience of our out of town guests, a block of rooms has been set aside at the Great Northern Hotel. Call for reservations at (406) 457-5500. Danielle Godlevsky is the Program Coordinator of the Foster Grandparent Program run through the Rocky Mountain Development Council. 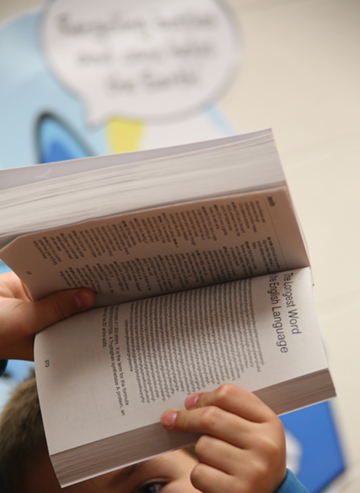 The program pairs seniors aged 55 and up with preschools, elementary schools, Head Start classrooms, and other educational settings for children. 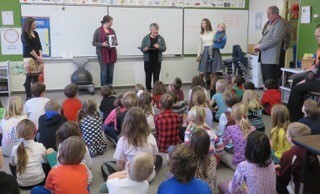 Foster Grandparents in the program provide academic support and guidance to children in Helena and around the state. Qualifying volunteers also receive a stipend for their time. 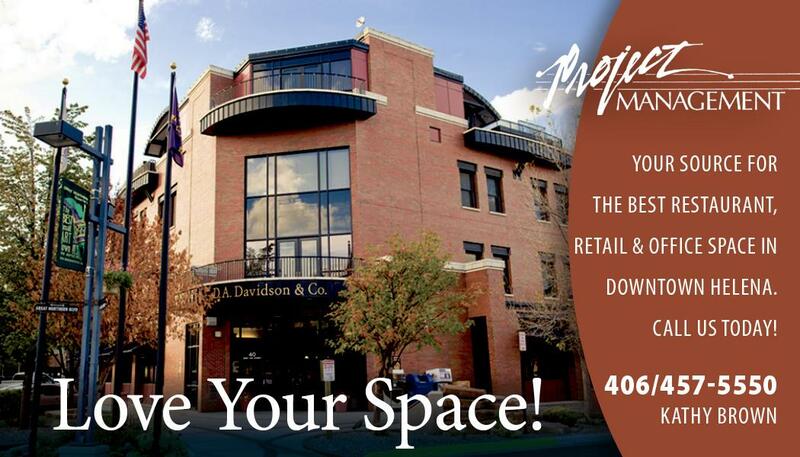 Danielle can be reached at (406) 447-1680. 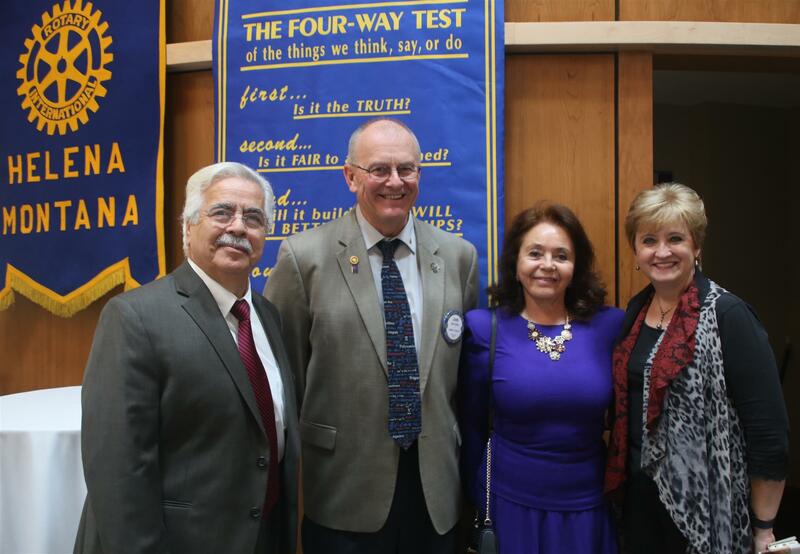 We had the privilege of hosting our District Governor Joe McBride on January 24. Joe is a Butte native who returned to his hometown six years ago after living in the Midwest for about 25 years. Joe has a passion for Rotary. He and his wife Libby have hosted three foreign exchange students in their home--Agnes from Indonesia, Priya from India, and Chris from South Africa. 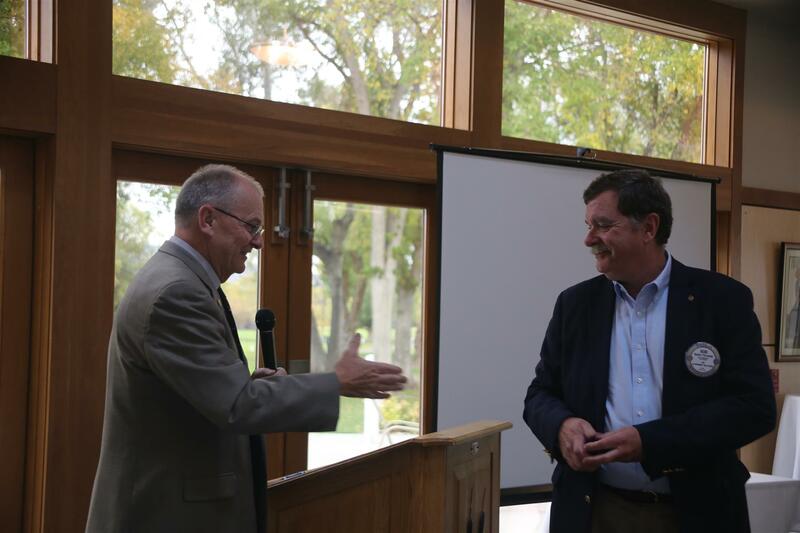 He has previously served as International Chair, Club President and Assistant Governor. 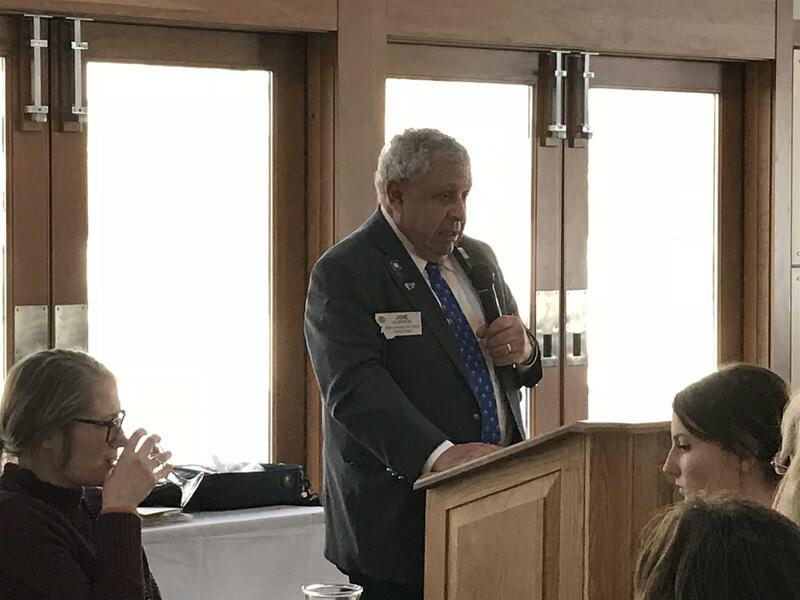 Joe explained his goals for his year as District Governor, including strengthening RYLA, Interact and Roteract, and a new program called STRIVE--a mentoring program for students who have faced academic challenges. 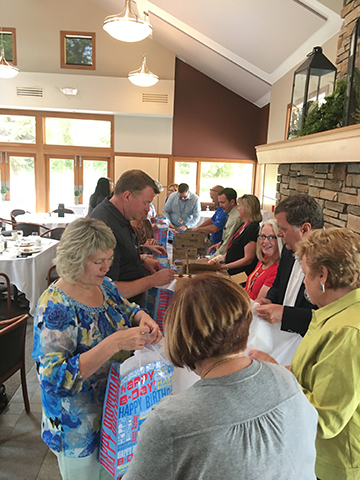 After addressing the club, Joe joined Helena Rotary in their Fourth Wednesday event, packing "birthday bags" for Helena Food Share. 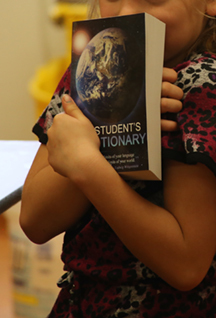 As part of its participation in The Dictionary Project, Rotary Club of Helena members delivered 772 dictionaries to third graders across Helena, East Helena, Montana City and Clancy. 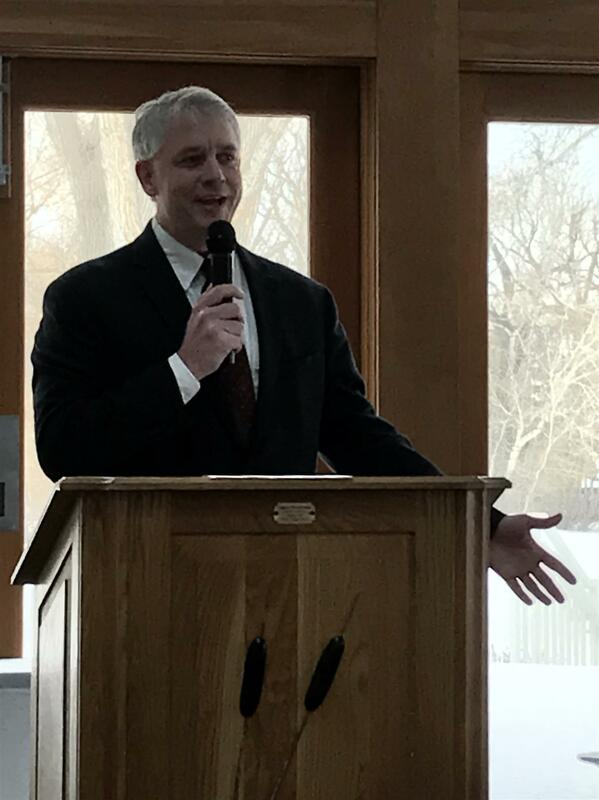 Kirk Lacy, the Interim Dean of Helena College, spoke on Wednesday January 17 about the continued growth and changes at the school. 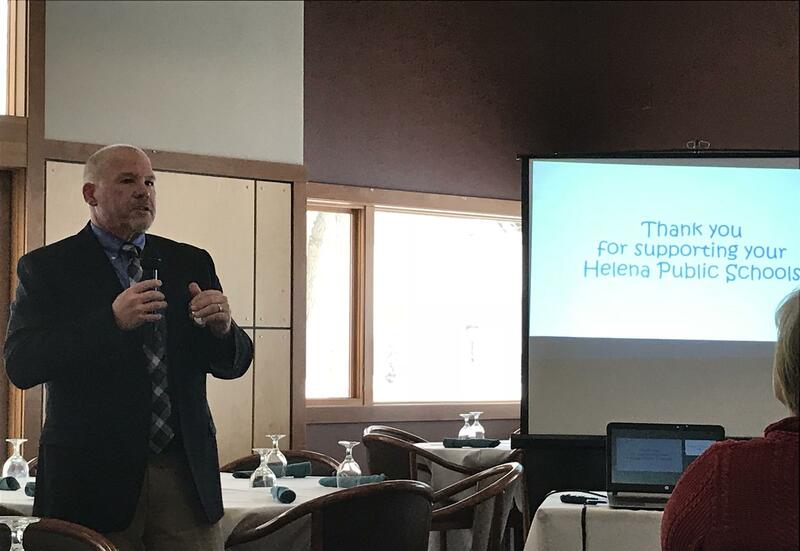 Rotarian Greg Upham, the Assistant Superintendent of Helena Public Schools, gave the club a presentation on January 3 regarding the plans for rebuilding Central School and updating other elementary schools as a result of the recent levy. 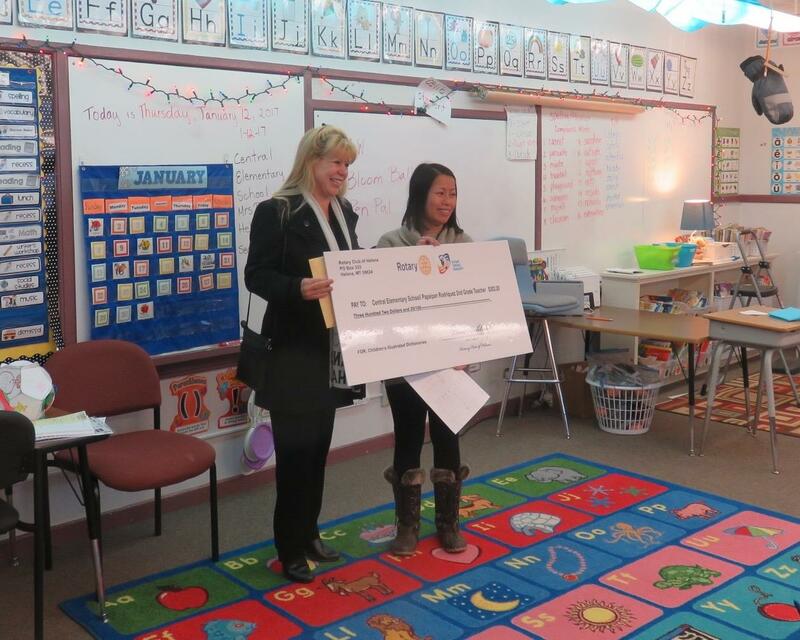 ...in addition to other community support projects. The Montana Volunteers are presently conducting their year end supply drive in support of Helena's Friendship Center. 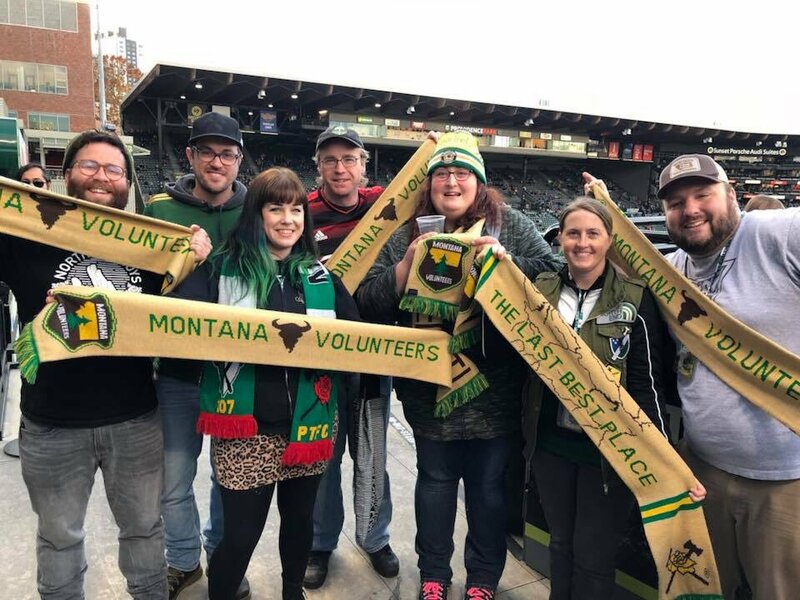 The Montana Volunteers can be found on Facebook or Twitter. Happy 10th birthday to Helena's Exploration Works Science Center! 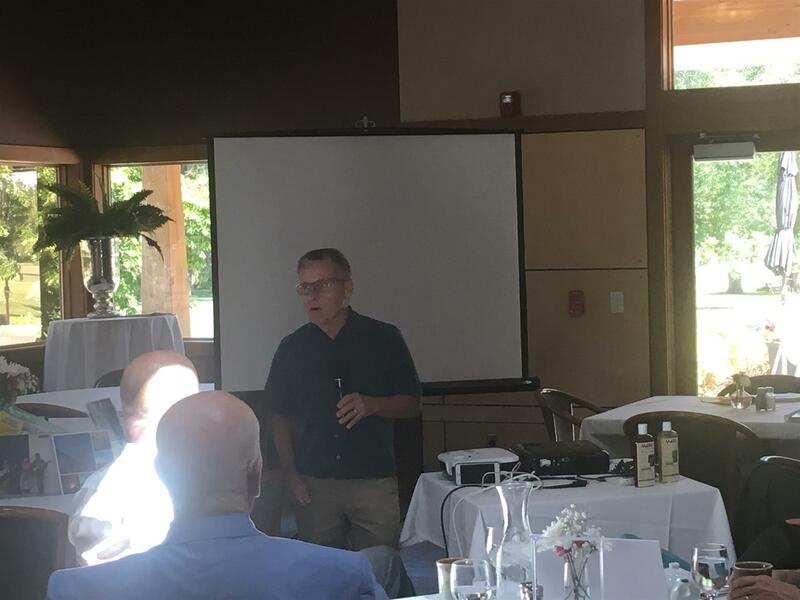 Big thanks to St. Peter's Hospital (soon to be St. Peter’s Health) CEO Wade Johnson for addressing the club about the wide-ranging changes coming and the state of healthcare in Helena. Mr. Johnson explained St. Peter's new focus on integrated care and the improvements being made for the sake of community health. 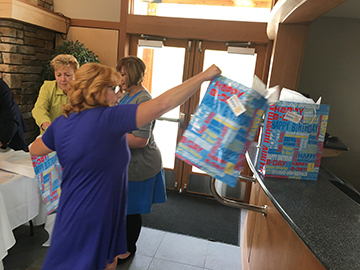 For our Fourth Wednesday service project, Helena Rotary invited Liann Myers of Montana Supporting Soldiers, an organization that sends letters and care packages to armed service members not only from Montana, but from across the country. 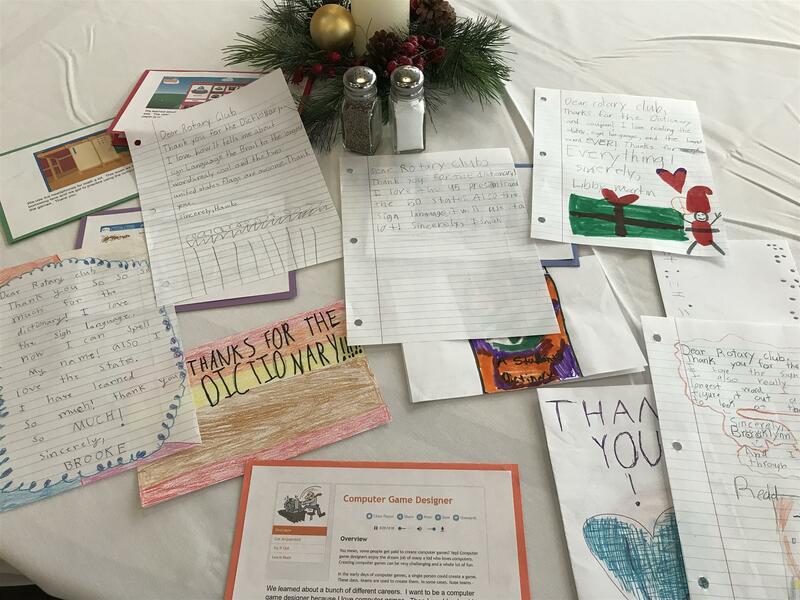 We spent our meeting writing Christmas cards for soldiers, sailors and airmen serving overseas. 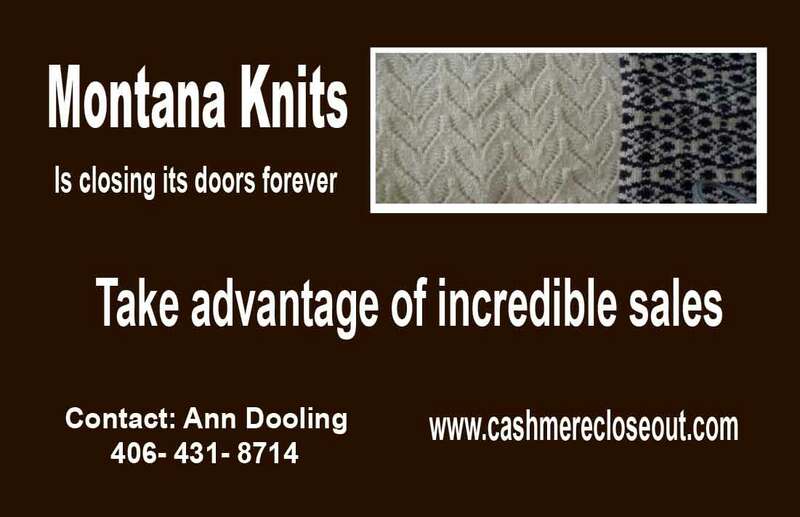 To learn more about Montana Supporting Soldiers, please visit their web site at http://MTSUPPORTINGSOLDIERS.com. 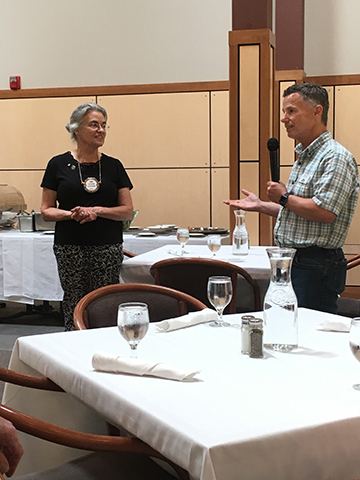 At our August 9, 2017 meeting, World Montana brought several students from all over Iraq to speak before Helena Rotary. 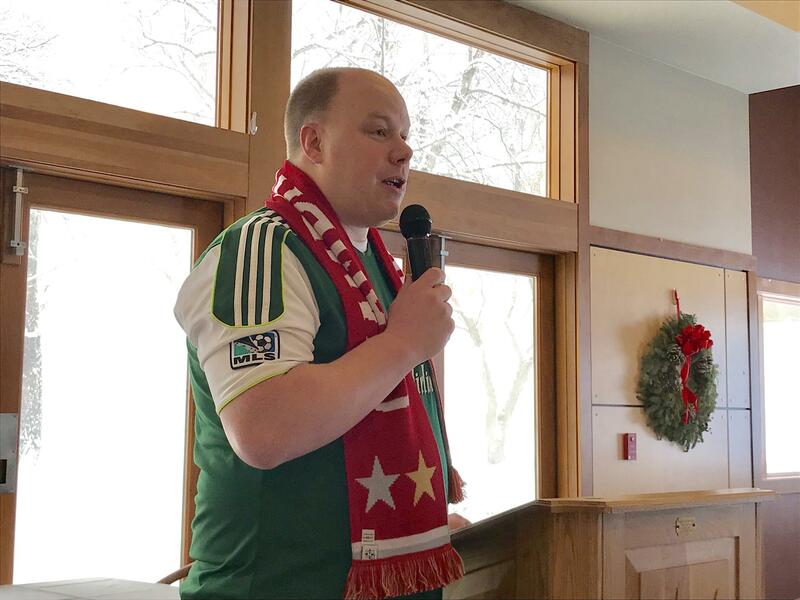 They shared with the club their experience growing up in Iraq, as well as their impressions of the U.S. and Helena in particular. 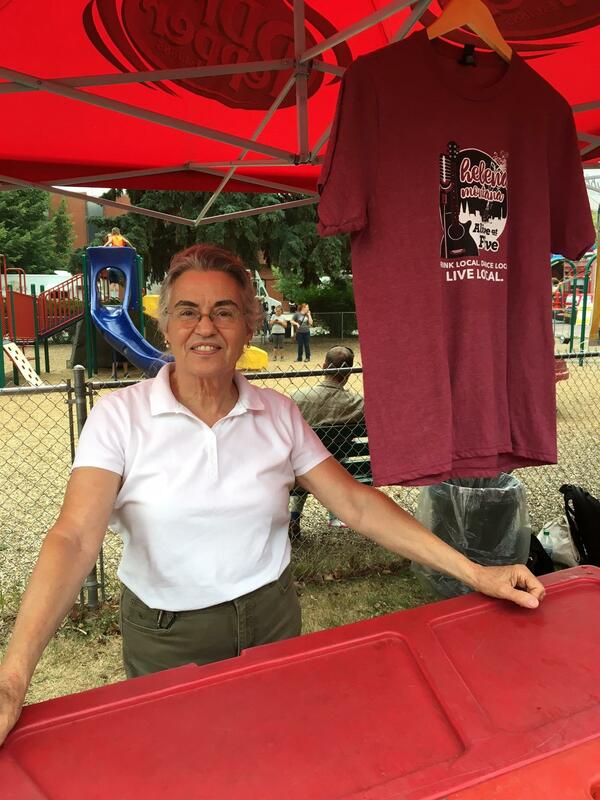 Helena Rotary Club President Ann Dooling volunteering at Helena's Alive at Five. 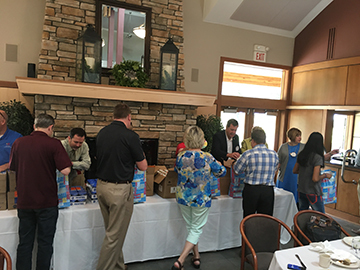 On April 19th the Rotary Club of Helena sponsored a free taco dinner and evening at ExplorationWorks Science Center in Helena. On International Women's Day, we had all the women in the meeting come to the front of the room. It is nice to recognize the women, and the work they do. Thanks to all the women for all they do. Here is a picture of the women and the men in attendance today. 2nd Grade Teacher Papaipan Rodriquez on Thursday January 12, 2017 at 8:35 AM. Our new Website Sponsor for September is Project Management. They are located in the Great Northern Town Center. 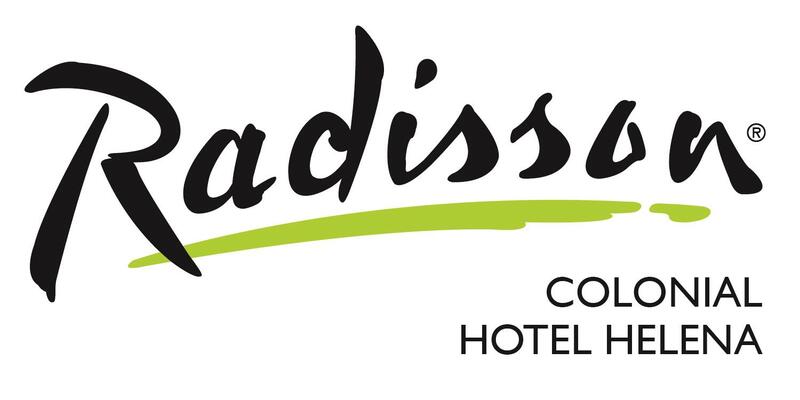 A Big Thank You for Sponsoring our Rotary website. Look for this Ad, it is located on all pages and on the bottom left of our site. 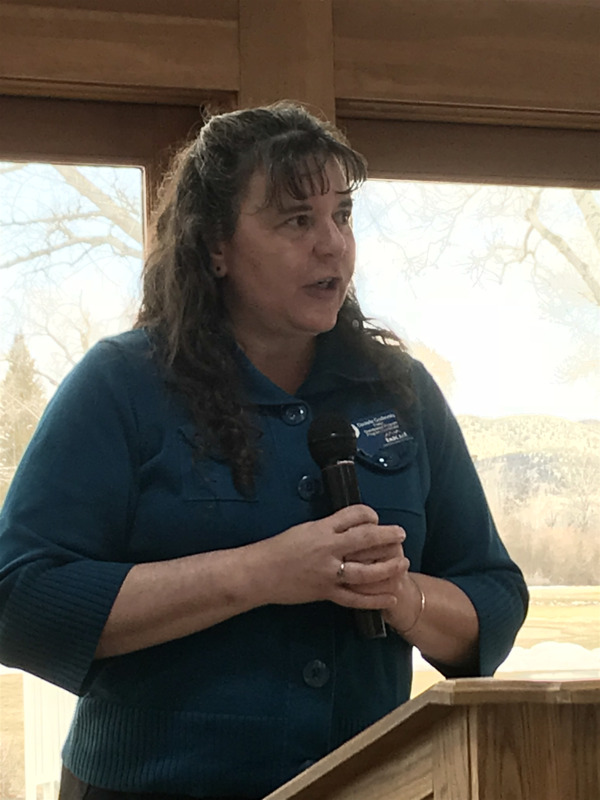 Deb Grebenc, Spoke about the HRSA Project here in Helena. 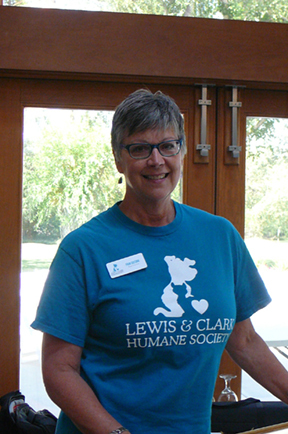 Pam Gosink spoke to Rotarians about The Lewis & Clark Humane Society. Pictured Below is Celso Humberto Delgado-Ramirez, John Scharf, Humberto's wife Maria Eugenia Espriu Salgado Delgado and Kathy Brown. 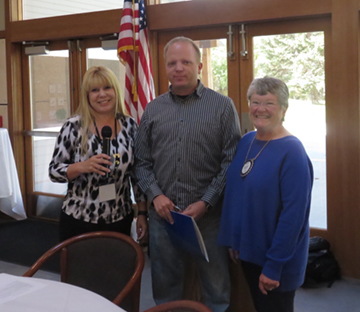 Today was such an awesome day, we have 2 new Rotary Members.Welcome to Helena Rotary, Greg Dorrington and David Huang. 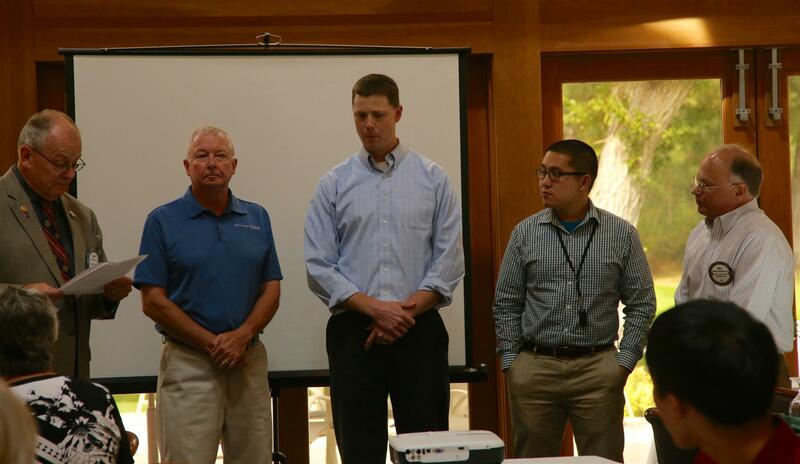 Pictured is President John Scharf, Dan McLean Sponsored Greg Dorrington, and David Huang sponsored by William MacBride. Each team is responsible for one month. Team Leaders are responsible for assigning tasks to their team members, ensuring that each member has an active role in Club Leadership. Team Responsibilities: Greeting members at meetings, 50/50, Invocation or Thought for the Day, and Pledge of Allegiance. Each team should plan a special activity for the club during your month. 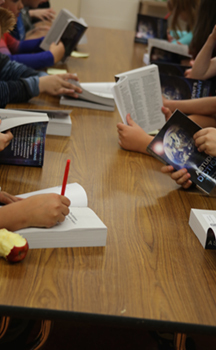 The activity may be a service project or a club social.